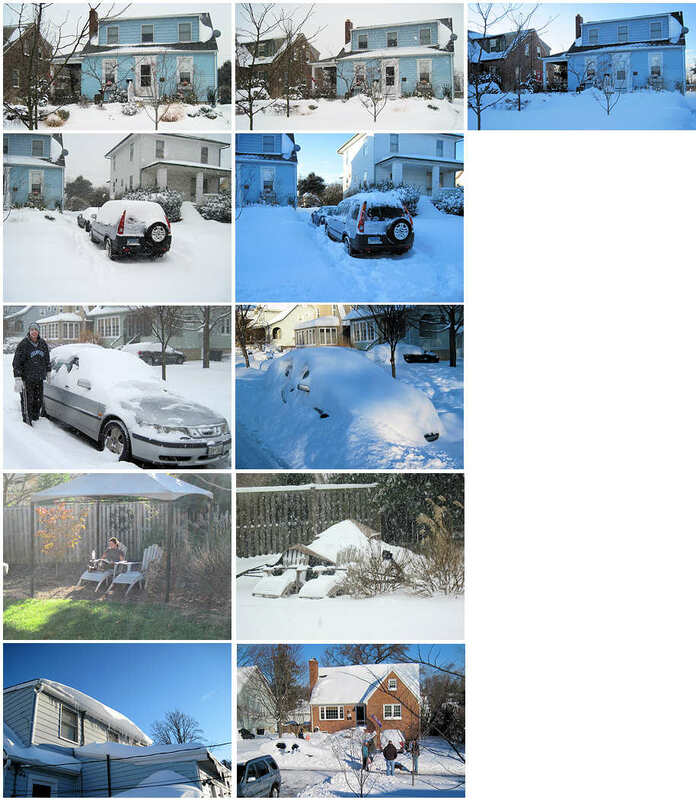 Over the last 36 hours we got about 18 inches of snow here in Baltimore. This is why we left Cleveland! Ugh! The series of pictures below tells the story. Yesterday morning, I shoveled. Then I shoveled again a couple hours later. Then again a few more hours later. Then just the house entry before bed. Then one more time this morning. Top row: Front of house Saturday morning, Saturday afternoon, Sunday morning. 2nd row: Driveway Saturday afternoon, Sunday morning. 3rd row: Sean and their Saab Saturday morning, buried Saab Sunday morning. 4th row: Canopy in back garden in November, and Saturday afternoon. 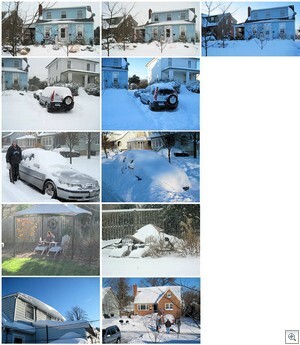 Final row: Snow and icicles sliding off back of house, neighbors shoveling and gathering on Sunday morning in the sun. This entry was posted in Gardens, Houses. Bookmark the permalink.